You can rewrite an expression with a rational exponent a few different ways. 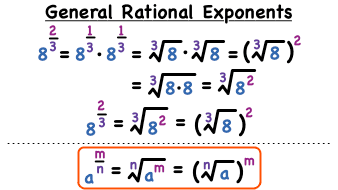 This can come in handy when your solving a problem involving rational exponents. This tutorial shows you how it works! You can even practice with examples!